Kim Kardashian's latest buzzworthy news: her much debated appearance on the cover of Vogue U.S. magazine. Some don't believe that she has rightly earned the coveted spot, while others embrace what she emodies: real-women curves and diversity. Controversial debates and funny photo parodies aside, it can't be denied that this new mother has been caught sporting a more fashion-forward look ever since linking up with boyfriend, Kanye West. Dressed up, dressed down, she looks great and works her curvy figure! The above pictured look is a great example of laid-back style. T-shirts and Skinny Jeans are comfort staples that we all have in our closets. 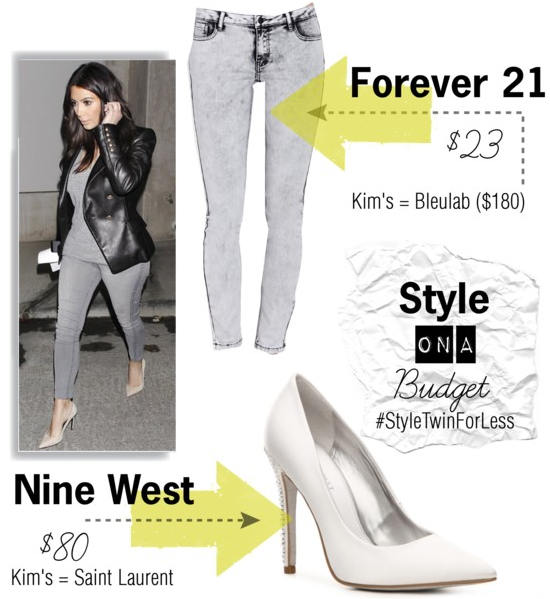 Kim K herself shows us how easy it is to add some trendy style to our basics. Adding a pair of heels lend to sexiness and the leather jacket adds some edge. 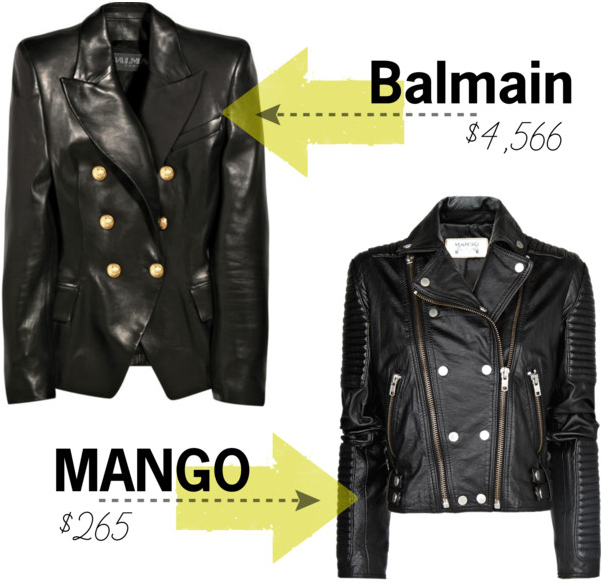 Kim's leather blazer from Balmain is $4,566 while my pick from MANGO is $265. Whether it's a good idea or not to include Kim Kardashian as part of an elite group of Vogue cover models, Anna Wintour sure does know how to sell magazines. I'm off to get my April copy now!